Why would I need self storage in North Tonawanda, NY? There are a variety of reasons why you might need self-storage in North Tonawanda, NY. How much is a storage unit in North Tonawanda, NY? The cheapest storage unit in North Tonawanda, NY is $43.00 per month. What size storage units do you have available in North Tonawanda, NY? In North Tonawanda, NY we have sizes that range from 3'x4' to 12'x25' to suit your storage needs. How much is it for a 3'x4' storage unit in North Tonawanda, NY? The cheapest 3'x4' storage unit in North Tonawanda, NY is $45.00 per month. North Tonawanda is a mid-size city in New York's Niagara County. Located along the Niagara River, North Tonawanda is north of Buffalo and southeast of Niagara Falls. Although North Tonawanda is within easy reach of both cities, its location offers a quiet respite from big-city bustle. North Tonawanda is often referred to as the Lumber City, because it was a major hub of lumber transportation and forwarding from the mid-1800s through the 1970s. The area had such a readily available supply of lumber that it fueled the development of many businesses that used wood in their products. One of the best-known carousel manufacturers in the U.S., the Herschell-Spillman Co., was started in North Tonawanda in the latter half of the 19th century. Eugene de Kleist was attracted to the area by the successful carousel business and established his own company producing band organs. In 1909, the Rudolph Wurlitzer Co. purchased his company, and it quickly became one of the world's largest musical instrument manufacturing plants. Over the years, more than 150 lumber companies were based in North Tonawanda. The booming industry fueled the success of many manufacturing businesses in town, including Richardson Boat, International Paper, Taylor Devices, National Grinding Wheel and Buffalo Bolt. North Tonawanda offers a wide variety of activities for you to enjoy in every season of the year. Pub crawls and fireworks ring in the new year and have been a local tradition for quite some time. The Taste of Tonawanda festival is a popular summer attraction, while the Haunted Harbor offers an appropriately spooky setting for the harvest season. Local attractions include the quaint Herschell Carrousel Factory Museum and Riviera Theatre, both offering a peek into the town's interesting history. The North Tonawanda History Museum houses many important pieces from North Tonawanda's past. North Tonawanda City Schools District is responsible for the public schools in town. You'll also find several private schools in the area. 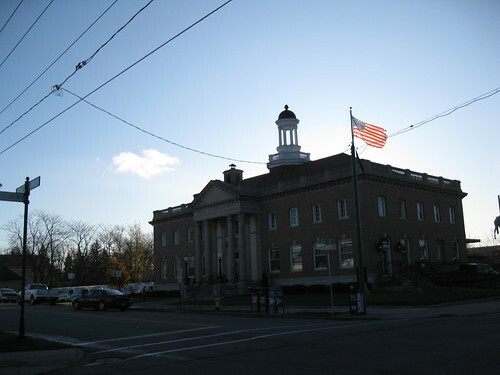 Utilities: The town manages its own water and sewer services, while National Grid is the primary electricity provider. Garbage and Recycling: The town provides trash and recycling collection services. You can find more information about specific rules and guidelines on the town website. Transportation: The NFTA-Metro provides public bus transportation services in North Tonawanda and the surrounding area. One of North Tonawanda's most attractive features is its extremely affordable housing, with both median home and rent prices well below national averages. Nearby Greater Buffalo is similarly budget-friendly, but North Tonawanda prices are even lower. Most homes for sale in North Tonawanda are cozy single-family homes, ranging from 1,000 to 2,000 square feet. Our lowest priced units in North Tonawanda, NY average $57.00 per month. 160 people have reserved units in North Tonawanda, NY in the past 30 days. There are 3 locations within North Tonawanda, NY's city limits. There are 2 locations in North Tonawanda, NY that offer AC and Heating features.